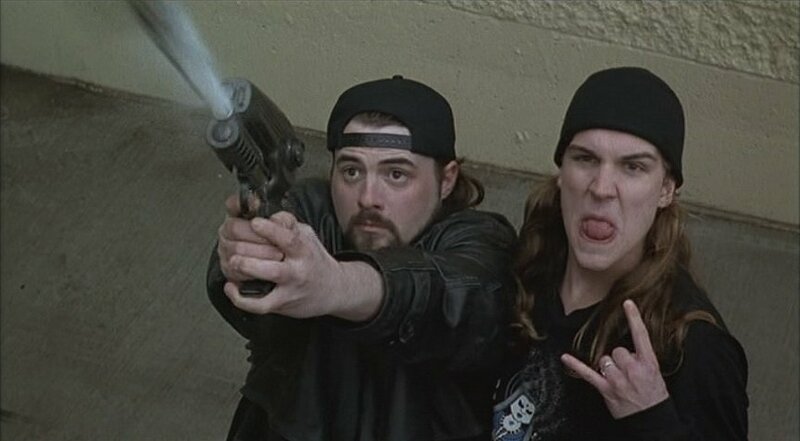 In the movie Mallrats (Kevin Smith, 1995) a paintball gun is used in one memorable scene. 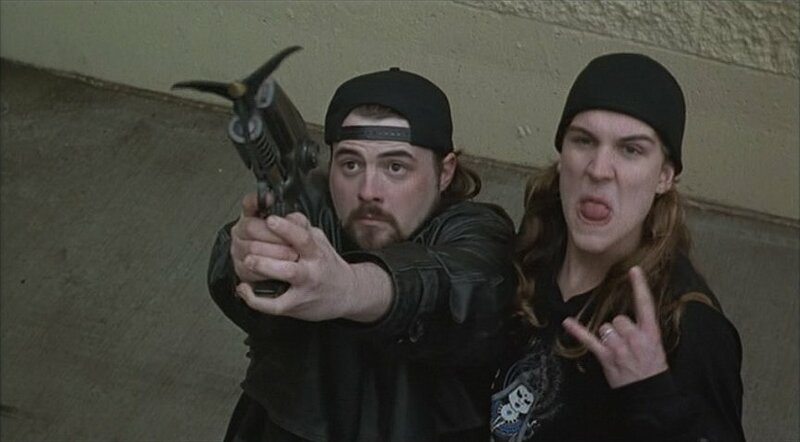 As Jay (Jason Mewes) and Silent Bob (director Kevin Smith) are trying to escape mall security, they take a wrong turn into a dead-end loading dock. 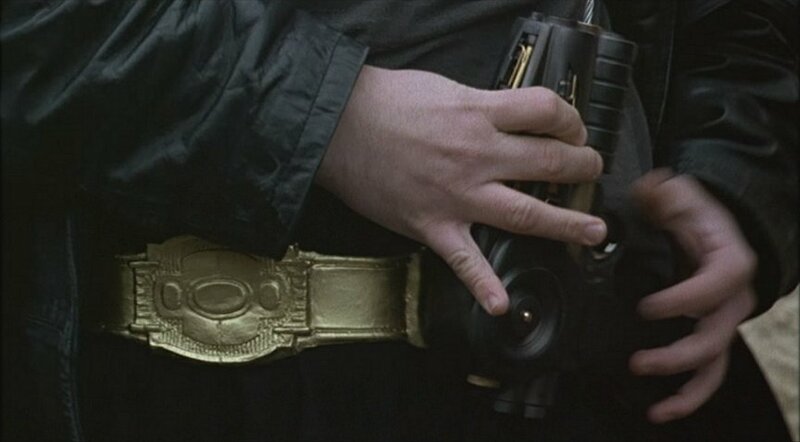 In order to escape, Bob whips a grappling-hook gun out of his Batman-eque utility belt. 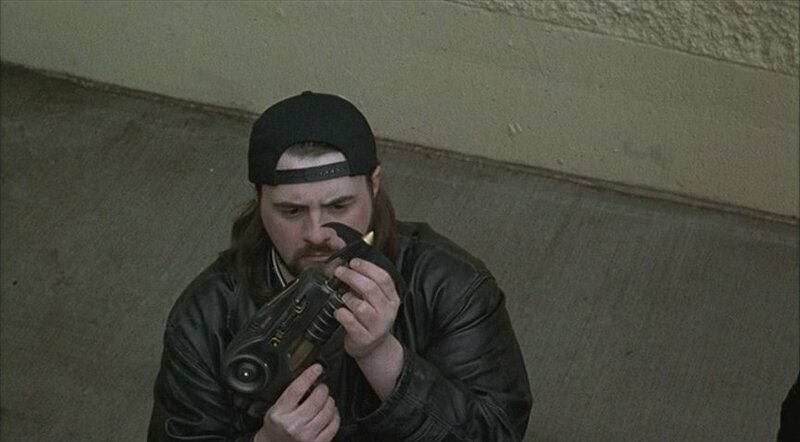 The gun is clearly a well-used early Sheridan PGP. Bob then pulls out a grappling hook and inserts it into the PGPs barrel. Bob prepares to fire, as Jay... er, looks on. Note Bob's odd grip with his left hand. And fire! The plume of smoke suggests the gun was actually used to shoot the (probably lightweight plastic) grappling hook. 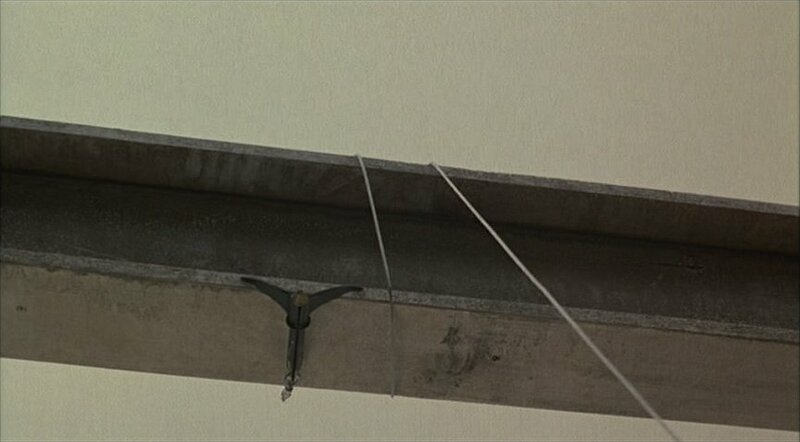 The hook loops around a convenient overhead I-beam and latches on. 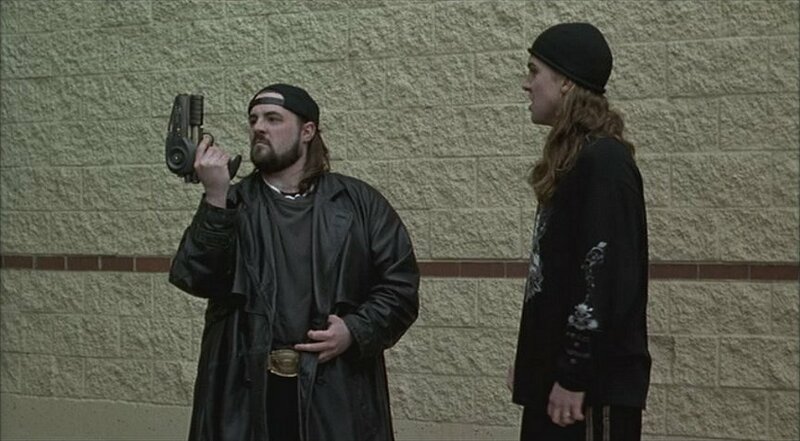 Bob then hooks the gun to his belt so that it can winch him and Jay up. Note the heavy steel cable that appears to be coming out of the barrel. off, it was clearly a well-used model before being converted.